While Toyota’s pickup truck star of the 2016 model year is undoubtedly the all-new mid-size Tacoma, we shouldn’t forget about the equally awesome, if larger, Tundra. Toyota’s full-size space-shuttle-hauling power vehicle is back for 2016, and ready to take on whatever you have to throw at it. Toyota will offer the 2016 Tundra in six trim levels: SR, SR5, Limited, Platinum, 1794 Edition, and TRD Pro. 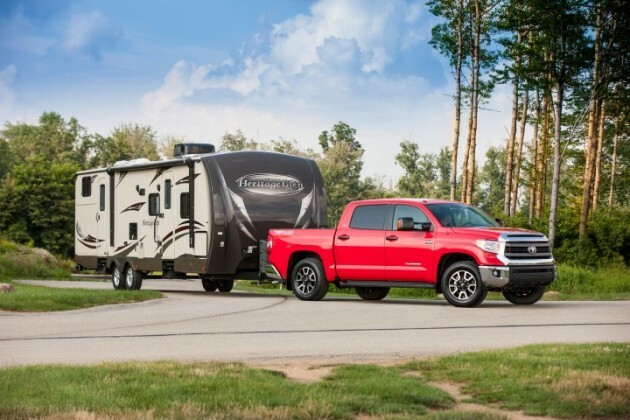 What’s New for the 2016 Toyota Tundra? Given that Toyota is focusing most of its truck energy on the 2016 Tacoma, it’s unsurprising that the 2016 Tundra sees relatively few changes. That’s not to say there are none; in fact, certain models (SR5 and 1794 Edition) will get updated grilles, while the remaining models will wear the same grille as their 2015 counterparts. Additionally, all models will have an upgraded Entune infotainment system, and an available 38-gallon fuel tank. Higher-end trim levels (Limited, Platinum, and 1794 Edition) will now come with blind-spot warning and rear cross-traffic alert systems as standard features, while previously these were only offered as options. 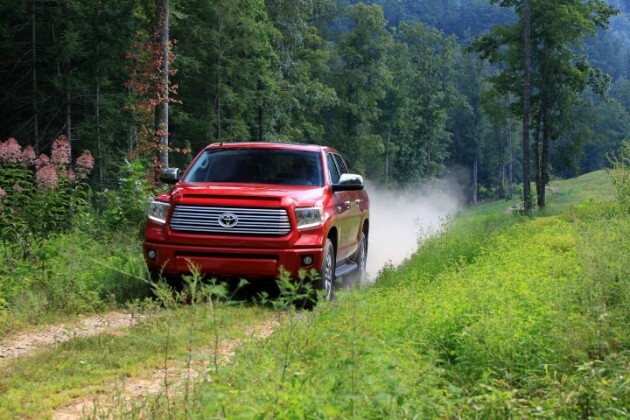 The 2016 Toyota Tundra has a powerful stance that leaves you in no doubt of its capabilities. Three cab options are available—Regular, Double, and CrewMax—and drivers can choose from 4×2 or 4×4. Depending on the model you choose, you can also opt for a standard bed or a long bed. Exterior features range from heated mirrors and chrome badging on the base SR to a power moonroof and memory mirrors on the tricked-out Platinum. The sporty TRD Pro adds off-road-ready features like front tow hooks, a TRD dual exhaust, and Bilstein brakes. It’s no secret—trucks are typically gas-guzzlers. 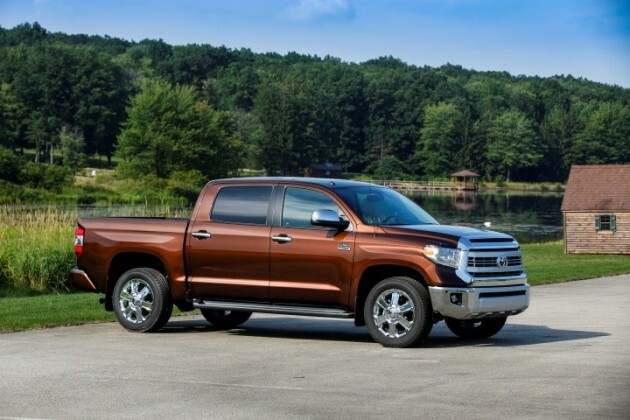 With no V6 engine available like some of its competitors, the 2016 Tundra doesn’t disappoint. The 4.6-liter V8 returns a meager 15 mpg city and 19 mpg highway for a combined rating of 16 mpg. The larger and more powerful 5.7-liter V8 decreases those numbers to 13/18/15 mpg city/highway/combined. This truck is certainly no Prius—but really, if you’re in the market for a truck, is fuel efficiency one of your main concerns? 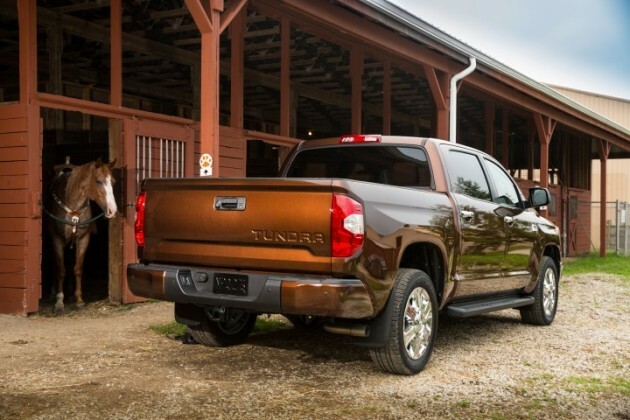 Inside, the 2016 Tundra redefines the basics. While many trucks offer sweaty vinyl seats and a simple AM/FM radio, the Tundra makes driver and passenger comfort a priority. 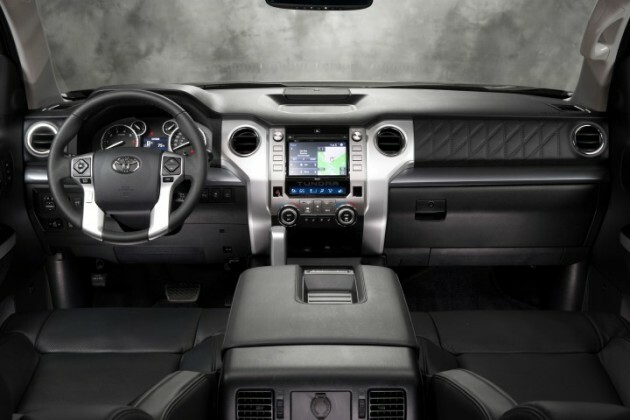 Even the base SR model offers finely stitched seats, air conditioning, Bluetooth, and the Entune infotainment system. As you move up through the available models, you’ll notice increasingly luxurious features like heated leather seats, automatic climate control, and a premium audio system. 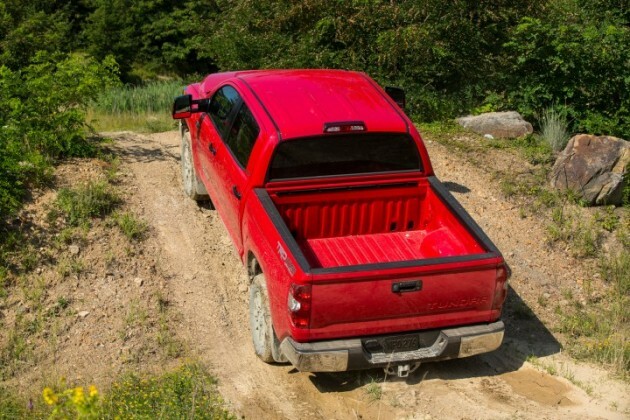 Choose the CrewMax cab and you’ll have plenty of room for your crew and your family. Today’s trucks are just as safe—if not safer—than other vehicles. 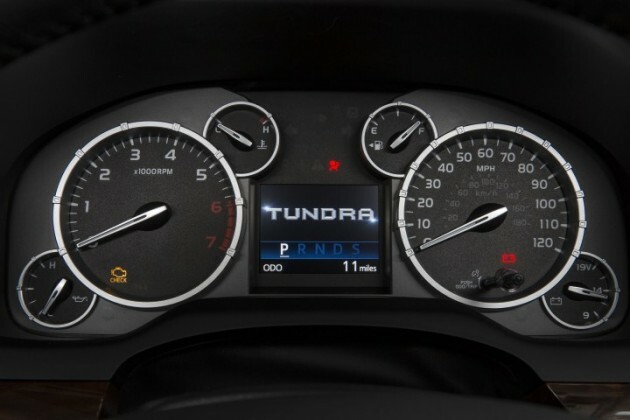 The Tundra comes with eight standard airbags, stability control, traction control, antilock brakes, and LATCH anchors for child seats. You can also opt for features like a blind-spot monitor and rear cross-traffic alert, which come standard in higher trim levels or are optional on lower trim levels.